As wife of the 32nd President, Franklin D. Roosevelt, Eleanor Roosevelt challenged and transformed the historically ceremonial, behind-the-scenes First Lady role. She increased her public presence by participating in radio broadcasts, authoring a daily syndicated column, "My Day," and holding weekly, women-only press conferences (she was the first presidential wife to do so) to discuss women's issues, her daily activities and breaking news. Along the way, she became one of her husband's unofficial advisers and informants, lobbying for civil rights policies to assist the poor, minorities and women, helping to formulate New Deal social-welfare programs and pushing for the creation of the United Nations. Following her husband's death, Roosevelt continued her humanitarian efforts as a member of the first American delegation to the U.N. and helped develop the Universal Declaration of Human Rights and UNICEF. In recognizing Roosevelt's legacy of advocacy for the underprivileged both nationally and abroad, President Harry Truman famously dubbed her "First Lady of the World." 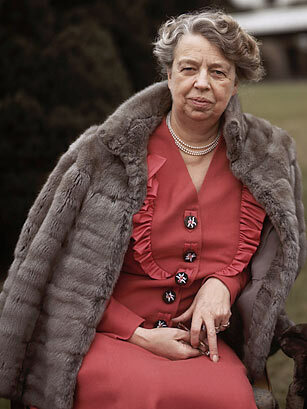 See photos of the young Eleanor Roosevelt.